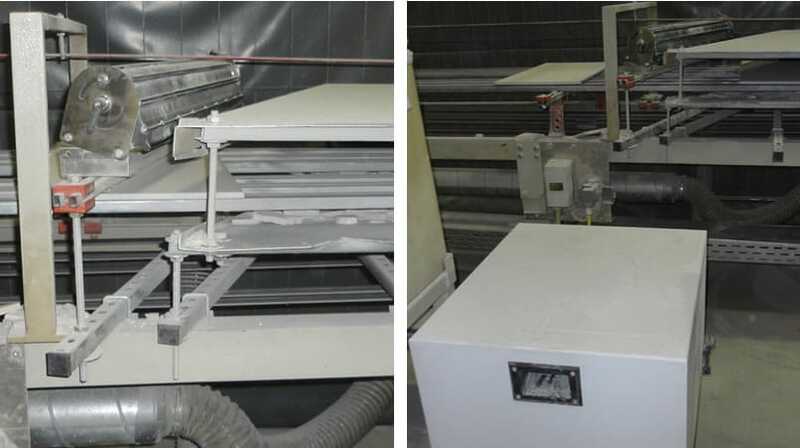 Cleaning system to blow dust off tiles following manufacturing process. Used compressed air supply and curtain transvectors. High energy costs and compressed air contains oil which stains the tiles. 1 X Paxton XT300 2.2Kw high speed blower connected to an Air Knife.